South Korea joined 163 UN member states in signing a nonbinding migration pact aimed at better handling the rising flow of migrants worldwide, despite growing anti-immigrant sentiment at home. The Global Compact for Migration was formally approved by 164 countries at a two-day conference in Marrakesh, Morocco. It is the first international accord on managing migration. 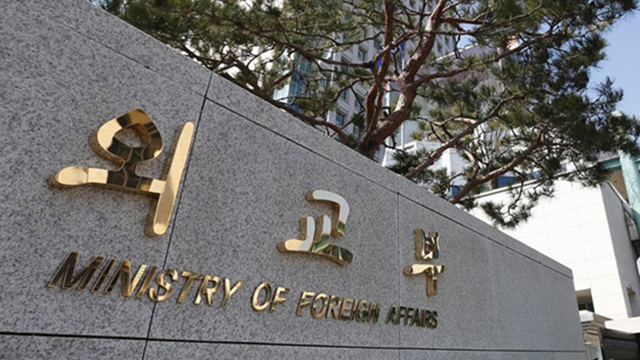 The pact is not legally binding, and signing it would not immediately result in changes in South Korea’s immigration and refugee policies, according to the Foreign Ministry. “The compact is not legally binding, and the document precisely stipulates that each nation has sovereignty over immigration policies,“ the official said on condition of anonymity. However, questions remain over the effectiveness of the pact. At least 16 countries, including the US and Australia, pulled out or expressed concerns, citing that the pact could infringe the sovereignty of states. The pact, which was formally signed by only 164 countries, was finalized at the UN in July after two years of talks. It lays out 23 objectives on how to better collect data and minimize factors that cause people to emigrate, and provide flexible pathways for legal migration. The pact is to be adopted at the UN General Assembly on Dec. 19. The accord has stirred up tension in Europe and the US, which host a large number of immigrants and refugees from poorer and war-torn countries, amid rising anti-immigrant populism fueled by radical right-wing politicians. In Korea, there has been no fierce debate on the pact, but people remain largely divided on accepting refugees and immigrants, amid a surge in the number of foreigners in ethnically homogeneous society. The total number of foreigners here stood at 2.18 million last year, a nearly 39 percent jump from 1.57 million in 2013. Korea became the first Asian country to enact a Refugee Act in 2012, but has one of the lowest refugee acceptance rates among developed countries. Last year, Korea’s Justice Ministry completed reviews for 6,015 asylum seekers and rejected all but 91 of them, with the refugee acceptance rate at 1.15 percent.